If you love games, look no further than our fantastic Singles Games Nights here in London. As London’s chosen speed dating hosts, Dateinadash are on hand to deliver great evenings full of fun designed with you in mind. With plenty to keep your mind active and the laughs continuing to roll, our London Play Dates are just the ticket if you are single and looking to mingle in the city. So what are you waiting for? Grab yourself a ticket to one of our upcoming singles events and join in the fun for yourself! With over 40 people attending our ever popular Play Dates in London you’ll be sure to meet a good crowd of young, professional types from all across London including Clapham and Balham for example. Firm family favourites such as Connect4, Twister and Hungry Hippos are ever popular at our successful singles event and are sure to get you laughing, mingling and chatting to other likeminded singles in attendance. With fun, joy and laughter in the air, Clapham Play Dates are always popular with the singles of London, time and time again! Why did we start Play Dates in Clapham? As one of London’s most popular and successful speed dating companies, Dateinadash have been putting on fantastic singles events since 2011. Attracting huge amount of attractive, professionals from all across the city of London, our singles events prove to be ever popular month on month and long may this continue. So, when we saw a gap in the market for Singles Games Nights in London, we jumped at the chance to offer this as an option to the singletons of the capital. And hey, we are always one step ahead of the competition, giving singles what they want, when they want it. And everyone loves a fun board game or games that everyone involved don’t they? Yep, we think so too. Who attends Singles Games Nights? Because the idea behind these singles events is fun, fun, fun, this event draws in people from all walks of life. Appealing to those between the ages of 21-30, there’s definitely a younger feel to this event but with all the energy, laughter and enthusiasm you would expect. From IT specialists to nurses, and from marketing gurus to graduates, our play dates in Clapham appeal to a wide range of people. When do Clapham Game Nights take place? 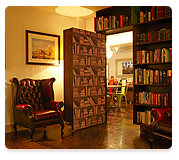 Our London Play Dates take place in the Jam Tree on Thursday’s in the heart of London. As one of Clapham’s favourite hangout spots, this eclectically designed pub with a spacious garden offers the very best in terms in style and boasts one of the best drinks selections around. With the famous ‘Jammy Cocktails’, an enviable wine list and delicious British and colonial gastro dishes, The Jam ticks all of the boxes when it comes to a great venue. Ideal for our singles events throughout the year, The Jam is a firm favourite with our young crowd of singletons. We look forward to seeing you at one of our upcoming events very soon!